The Mirror-Shattering Method can allow travel between realities, and thus must be opening (or at least locating and establishing entry and exit points for) a route through Elsewhere. It can hold those openings ready, and the route open, for at least five days – the usual travel time. Travel Thaumaturgy can modify travel times, and routes, and even allow very short jumps through elsewhere. Ergo, to temporarily shift the destination of a manse gate, what you need to do is use a slightly modified version of Mirror Shattering Method to open the route – and a massive dose of Travel Thaumaturgy (or a specific charm effect) to temporarily shift the gate into the new channel. Unfortunately, Sidereals cannot tweak their charms. Fortunately, all you need to put a charm or a charm-like effect into an artifact is sufficient skill and the cooperation of someone who has the right kind of essence for the charm you want. Charles has the skill, and he’d had a detailed look at the mechanics of the Mirror-Shattering Method, and – in trying to keep an eye on him – the Sidereals themselves assigned several young Sidereal Half-Castes to his school and classes. He hasn’t had much trouble getting some of them to spend a few minutes helping him with his artificing. He’s tutoring some of them on the topic anyway; “making stuff” was a MUCH safer career path than a lot of the others open to young Sidereal Half-Castes. Destabilization Alarm (DM) which sounds a warning once a few hours before the portal reverts to it’s normal destination – and again at minutes and turns until the collapse. Destination Surveillance Module (DSM) showing the environment and the immediate area around the destination end of the gate. Elsewhere Drift Display (EDD showing the status of disturbances and drift in the structure of Elsewhere. Even Charles is not quite sure what the weird patterns and colors that come up on this display actually mean, although it does seem to compensate somehow for relative interstellar motions and velocities. Intrusion Warning Chimes (IWC) which play various tunes denoting that something has entered the portal – whether from the far end or (far more ominously) at some point along it’s “length” in Elsewhere. Metric Drift Alarm (MDA) which displays when the other end of the portal has failed to fully lock, and is likely to shift around at the exit – potentially scattering groups across areas up to thirty miles across unless they wait for it to stabilize. 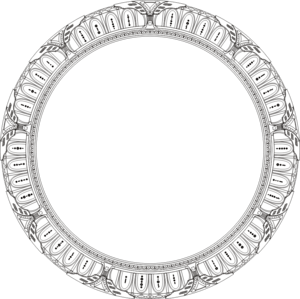 Multiphase Vortex Generator (MVG) which is used for setting coordinates for associated extradimensional realms – such as Yu-Shan, Malfeas, and so on. Also firmly locked out on most models for the moment. Phase of the Moon Generator (PMG) for adjusting coordinates to reach alternate-timeline creations. After the incident with the Alternate Celestial Host this is firmly locked out of operation on ALL models until further notice. Portal Intersection Evaluator (PIE) which indicates when two gates have accidently been coupled together – an extremely unlikely, but vaguely possible event. Temporal Intersection Plot (TIP) showing extra-dimensional influences that may affect travelers during the trip. Turbulence Warning Indicator (TWI) which indicates when the portal is unstable, and dangerous to transverse. Unreal Time Clock (UTC) for measuring relativistic time distortions while passing through elsewhere. Perhaps most importantly, there’s also the GBL – the Great Big Lever that activates the system when you pull it. Of course, not even Charles has any clear idea of what half the readouts really mean much of the time – but a few centuries of practical travel experience will soon have that sorted out! In practice, you enter some coordinates, survey the various weird instruments for anything that’s doing something overly-ominous looking (D5 Lore Check), and – if satisfied (or in a real hurry) you pull the lever. There will be a crackling display of channeled essence, a brief dimensional vortex (this is very dangerous, and it is wise to stand clear for fear of dimensional scattering) and the gate will shift to it’s new destination – although, unless there’s some natural feature, manse, or artifact that anchors it on the far end, the gate may open up anywhere within twenty miles or so of it’s supposed destination point. After that, it’s wise to check again if you have time. Even if you DON’T have time it’s wise to check at least the Destination Surveillance Module (one of the few that’s easy to read) before you head on through. A gate can be kept focused on it’s new destination and open for up to five days – but the last day is more than a bit iffy. The portal tends to become more and more erratic as the manse seeks to reassert it’s design, and may revert to normal at any time. 1-2) The gate opens in some incredibly inconvenient location. 3) The gate is shifting. Unless given hours to settle, it’s likely to scatter any group that uses it across a considerable area. 4-5) The gate will revert to its normal destination sooner than expected. 6) The gate produces a dimensional disturbance. It will not be possible to open another gate to the same location for days – or possibly even weeks. 7) There is a substantial transit delay of anything up to a full day. This may result in travelers losing time without knowing it. Travelers are never lost in transit however, although they may arrive at the gates normal exit rather than their destination if they run overtime. 8-9) The passage requires 1-5 hours to stabilize. Traversing it before it’s stable may be impossible, cause serious injuries, or may leave travelers in the wrong place entirely. Mirror-Shattering Method (Variant) Charm. That’s Essence 3, One Prerequisite (Class-C). Self-Powered (Class-C). It requires three motes or one point of willpower to actually pull the GBL and activate the thing. Assorted Divination Thaumaturgy x9 – once incidence each for the Destabilization Alarm, the Destination Surveillance Module, the Elsewhere Drift Display, the Intrusion Warning Chimes, the Metric Drift Alarm, the Portal Intersection Evaluator, the Temporal Intersection Plot, the Turbulence Warning Generator, and the Unreal Time Clock. That’s 9x Class-A powers, taken as a single Class-D. In homage to television we’ll throw in a button that closes off the portal with a big, very solid, door (although unlike TV, this will prevent people from opening from the far end and cannot be closed if something is in a delayed transit). Call it Class-C for being pretty much indestructible. Finally, as long as the portal remains open, it will relay various kinds of communication links – allowing explorers to keep in touch and for homing signals to be broadcast if the blasted thing moves around too much between activations. Call it Class-C for being really convenient. That’s Power 10 (the upper limit). Usefulness 3 (when you come right down to it, all this does is… allow you to reach places where you can have adventures or get stuff. Still, that’s not really very important in itself; you’d be doing that anyway in some fashion), Plot Impact 3 (this can entirely change the scene and offers GREAT hiding places), Script Immunity 2 (someone can disconnect it and carry it away, but it’s big and heavy), Components -4 (uses all five Magical Materials, Quintessence, and tokens from the Wyld), Troublesome -2 (will occasionally do really weird things, as noted above). That’s a total of 12, and 12/4 = Artifact ***. That may not seem very high – but then you do need a Rank-***** manse with an Otherworld Gate in it to use the thing at all. I had a thought about this when I was rereading from the beginning. Does the transit take any time? I ask because Charles mentioned that it may take 5 days of subjective time each way to a Sidereal woman. If that is the case, you need to add some form of life support for individuals who need to do pesky things like eat, drink, and breathe during the 5 days they are in transit. Well it’s always possible – but at least so far that particular notion hasn’t shown up; the duration so far has always seemed near-instant (although there are sometimes delays, travelers don’t seem to be aware of them). Whether that will hold true with a gate to Malfeas has yet to be tested.